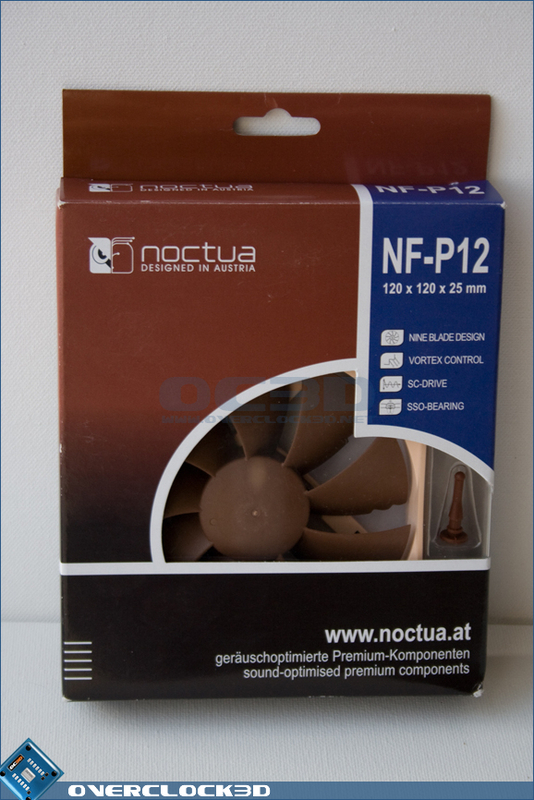 The packaging housing the NF-P12 and extras is very similar to the packaging seen on previous fans reviewed here at Overclock3D. Sporting the same intriguing logo and umber / sienna gradient with a window just big enough to get a look at the fans unique colouring and vibration dampening fixtures. 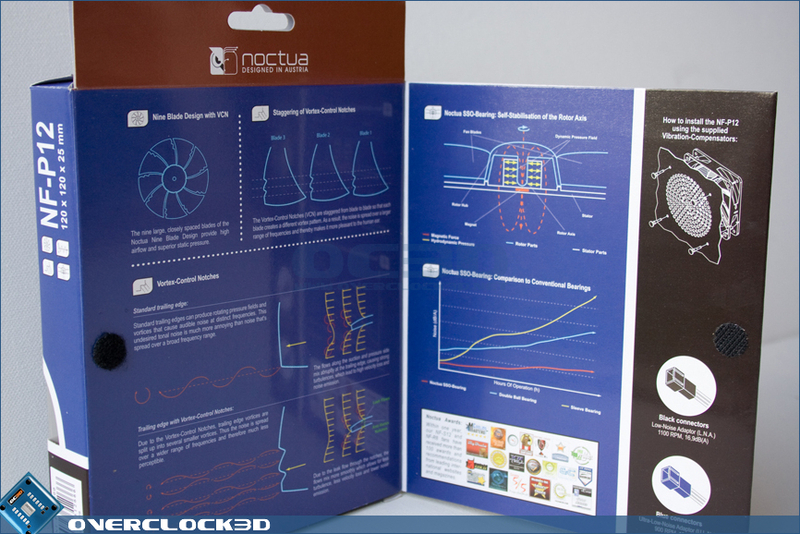 The back of the packaging is this time a bit heavier on information and pictures than the previous fans. There are details on the fans features such as the nine blade design, vortex control notches, smooth commutation drive and self stabilising oil-pressure bearing (also listed on the front of the box). 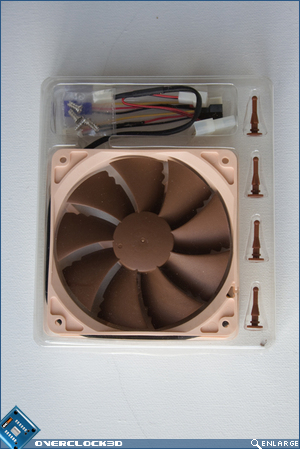 Further down we are given the fans specifications (seen on page 1) , a list of the box contents and a mention of the massive six year warranty the fan carries. After taking the fan out the box and having a good look at it, I noticed a gap running down the side of the box which I admittedly missed before. After a good look I decided it was safe to give it a pull and was shocked to be greeted with an extensive breakdown of all the technology employed by the fan, a list of awards received by Noctua and details about the contents. 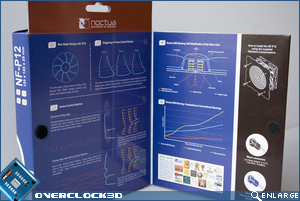 I personally think it is nice to see a bit of effort and design going into packaging considering that the usual packaging is no more than a transparent box with a cardboard insert. 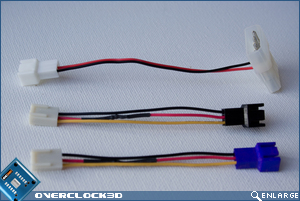 Once you open up the box and pull the fan out you get a good look at what you're getting for your money. 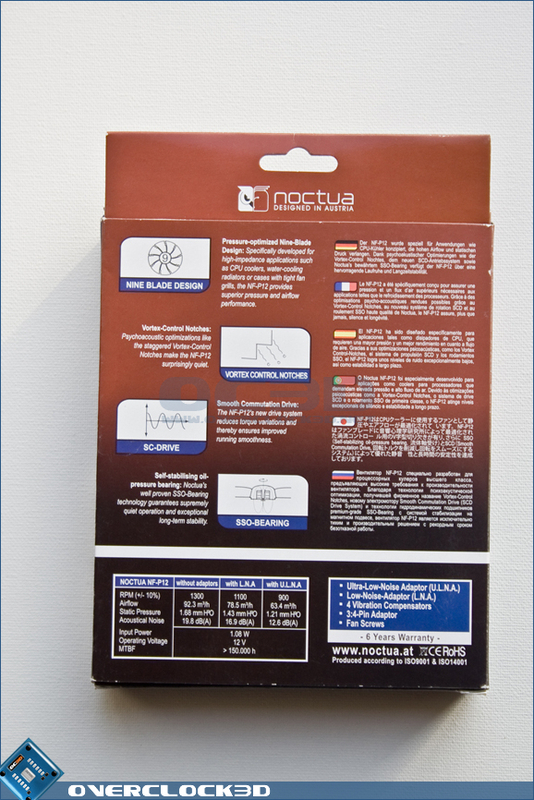 The quality plastic casing is the same as that on previous Noctua fans, which should help to prevent any nasty knocks from damaging anything. Originally the colours sported by the Noctua fans were a bit of a shock, but in the months since they were first seen, and having had one sat in front of me, I must say I'm quite fond of it. 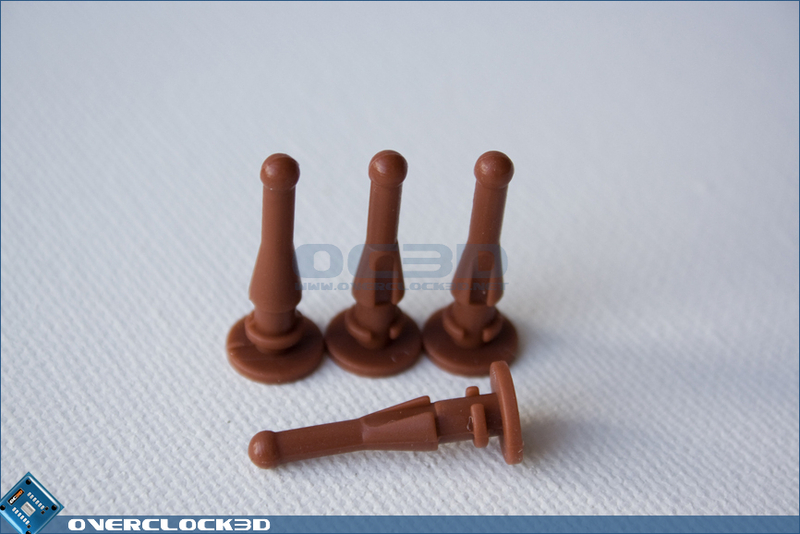 Obviously this will be a bit of a 'marmite moment' where others will not be anywhere near as keen. At the end of the day however, performance is the key factor we should be concerned about. With the inclusion of two mounting methods and two adapters, purchasers are getting a fair bit more than seen included with most fans on the market.